Shaun Palmer is one of our very own Member Service Representatives at the front desk as well as a member here at the Dan Abraham Healthy Living Center, and he was kind enough to share his story of changing his old habits, forming new goals and achieving great feats. After Shaun decided to quit smoking, he gained weight and knew he needed to make a change. So, he started swimming; first he started swimming 100 yards (4 laps) and would become exhausted. But, he kept up with it, increasing every week and now he also doubles as a swim instructor here at the Healthy Living Center. In addition to swimming, Shaun also worked his way up to walking a mile and then into running. And that’s where his marathon training began. Shaun shared that training for a marathon is almost more physically demanding than running the marathon itself. He takes weather into account as he has to train throughout the winters and take care of his body. This includes finding a running community, making healthy eating choices and working through injuries. He utilizes services at the Healthy Living Center, such as the iDexa scan and the VO2 max test to help manage his weight and training as well as attending nutrition classes and yoga. Meeting and talking with great members at the center has kept him motivated and enthusiastic about the upcoming race, and he greatly appreciates all the encouragement from members! 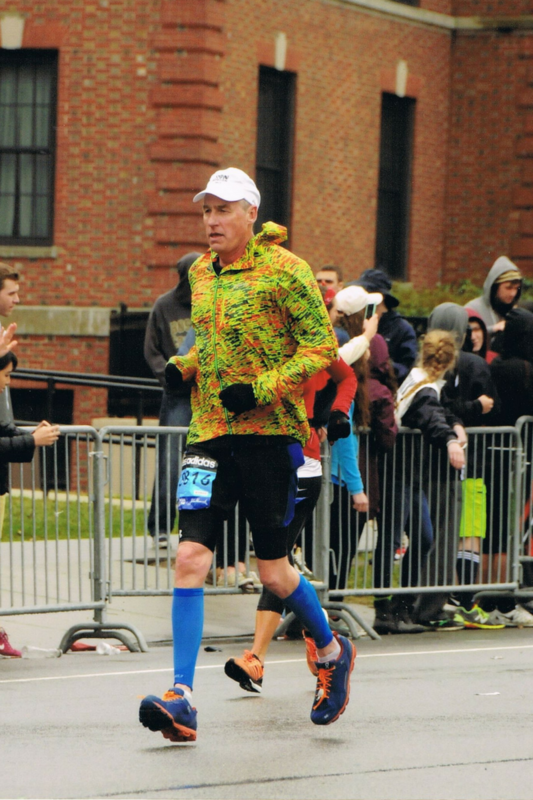 We are cheering for you as you run this month in the Boston Marathon for the seventh time! Go, Shaun!